Timeout Rutgers. UW 57, RU 52. 51 seconds left. 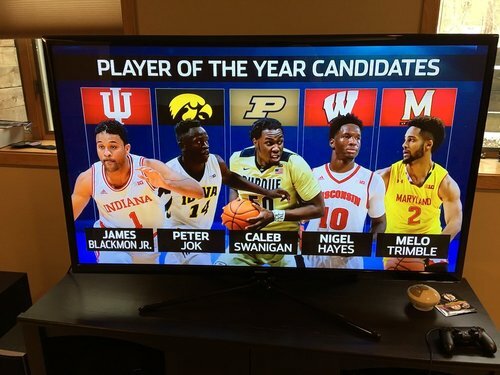 We need to start having the Ethan Happ for All-American conversation. Johnson hits a jumper for Rutgers, who cuts the #Badgers lead down to 57-54 with 28.9 left in overtime. Koenig to shoot two FTs. Koenig converts two. Happ with a huge steal. 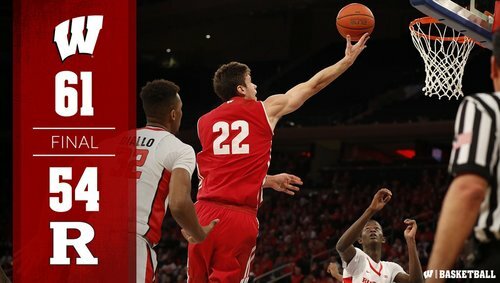 Have a day Ethan Happ. Ethan Happ's other scholarship offers out of high school -- UW-Milwaukee and UW-Green Bay. 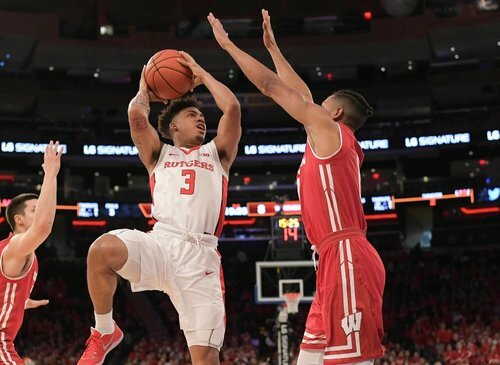 Badgers escape from New York with a win. Final: #Badgers 61, Rutgers 54 (OT). 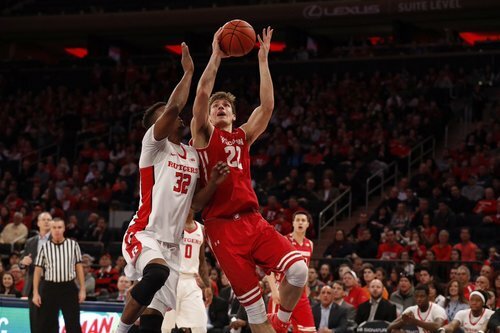 A career-high 32 points for Ethan Happ helps UW improve to 18-3. New York, meet Ethan Happ. FINAL SCORING: Happ 32, Koenig 10, Hayes 7, Showalter 4, Brown 3, Hill 3, Thomas 2. Last 2 mins of regulation, 5 mins of OT Hayes & Koenig redeem an otherwise dreadful outing. Happ was a beast - finished with 32 points. Gutty performance from an experienced UW team. RU did not have an answer for Happ, did not make FTs down the stretch. A curtain call at MSG? Unofficially, the #Badgers scored 29 points in their final 15 possessions of the game. Until that point: 32 points in 58 possessions. #Badgers story - Happ helps UW escape in OT - so should be posted soon. Happ has 15 of #Badgers last 29 points plus assist. Hayes had 5 puts + assist in OT. Happ led way as #Badgers wiped out nine-point hole in final 3:11 of regulation. #Badgers won despite hitting 3-25 from 3 and 20-60 overall. Gard: "Obviously, not a thing of beauty." Happ: "It means a lot for this team to come together on a rough shooting night." Happ - end of reg play was meant for Koenig. The #Badgers have now won their last seven overtime games.